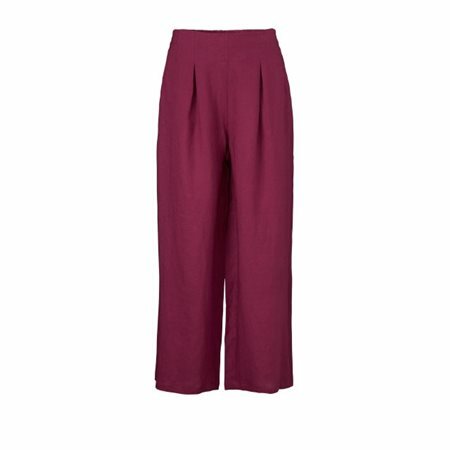 The Pauleen trousers by Masai Clothing have been tailored from maroon linen with fabulous wide legs. The trousers have elastic at the back of the waist, so they sit snugly at the back. They also feature front pleats, slash pockets at the sides and stylish paspoil pockets at the back. These trousers will be a summer favourite as they are easy to dress up or down with the right accessories.